Design optimisation is a challenge well-suited to CFD. 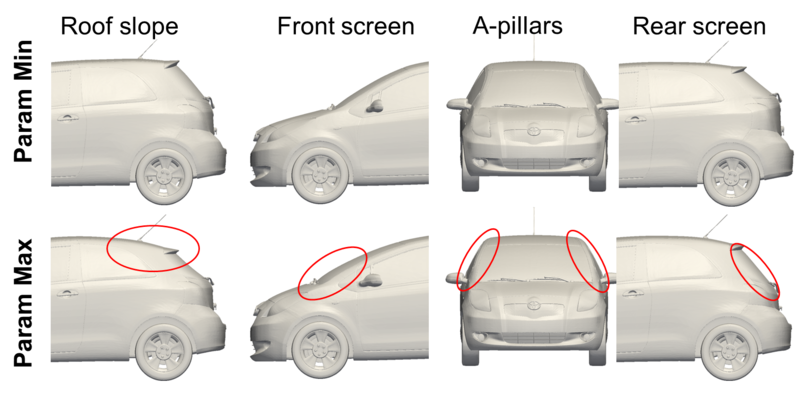 The effect of changes to the model can be parameterised and tested without the need to large amounts of manufacture and physical testing. A large number of parameters can be investigated. However, it is still difficult to do this efficiently and effectively. Typically 6 independent shape change parameters are used by TotalSim for most short-timescale work. DES is also a considerable challenge to run for real-world cases with current hardware, but it is becoming increasingly necessary to obtain sufficiently accurate modelling of the flow. Here multi-parameter optimisation is used together with DES to demonstrate the differences between a RANS optimum and a DES optimum. 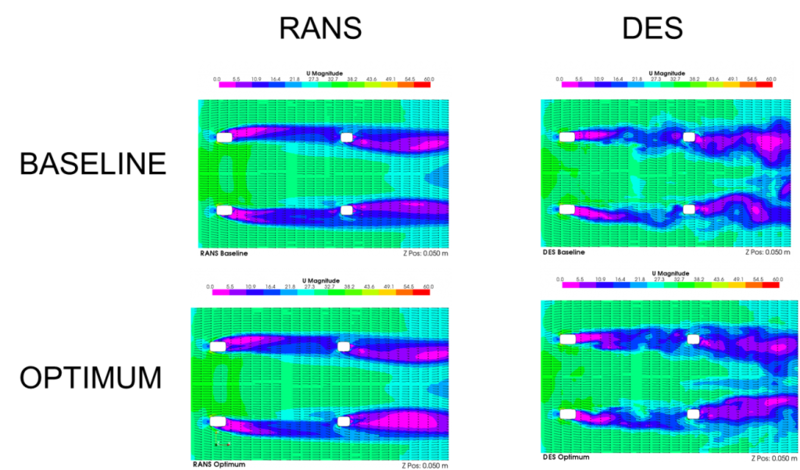 A modified OpenFOAM® ** solver using the SST k-omega turbulence model provides the RANS solution. The RANS case was run for 3000 iterations, with averaging done over the last 500 iterations. The DES case was run for 1 second, with averaging done over the last cycle of 0.5 seconds. Inputs are the results from the design of experiments that are run through CFD. It gives a quick answer and can give an indication of what parts of the DOE are sparse and need further refining. Generally this is done for the are that is of interest – in this case it is a low drag vehicle with the greatest internal cabin volume. 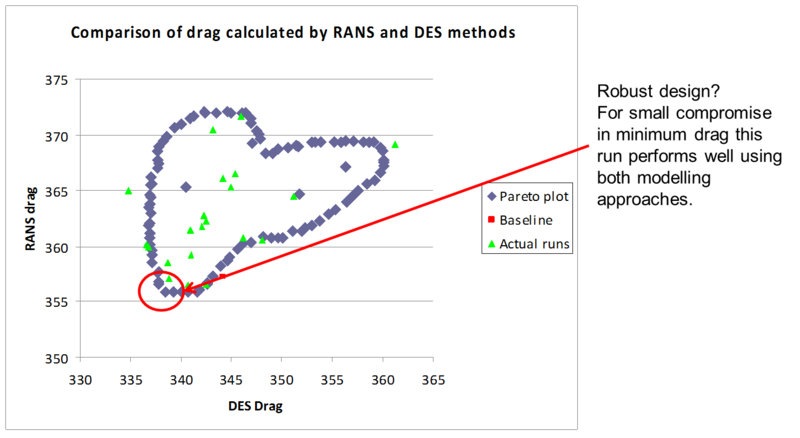 RANS process gives a peak drag reduction of 1.0% compared to a DES peak of 2.8%. 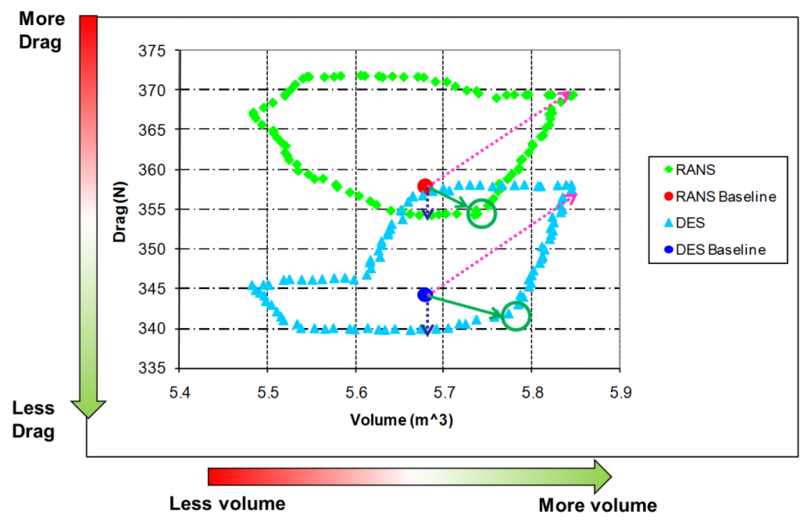 Comparing the RANS and DES optimisations suggests there could be a common design that performs well in both modelling approaches. The optimisation process works well with RANS-derived data, finding a 1% reduction in drag. The roof slope is the most dominant parameter in the study, further drag reductions could be found by replacing the insensitive parameters. 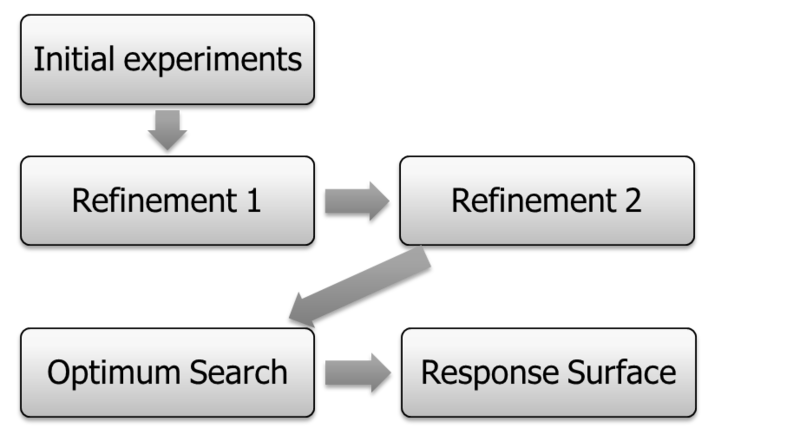 The DES approach requires significantly more run-time to gather statistical information resulting in a 500% increase in computing time over the RANS method. The DES solutions reported lower drag than the RANS for each run, most likely due to the separation point on the front wheels. Reducing drag in both RANS and DES is possible and does not need to compromise the overall cabin volume; however the region of maximum drag in the design space is different for each method. DES can be used for optimisation but involves greater levels of uncertainty than RANS.